In her early twenties, Lisa was a model and winner of the Miss Good American Homes modeling award. She was honored with a trip to New York City to meet Jayne Mansfield, and an evening at the classic Stork Club. Lisa was a walking work of art herself, generally barefoot at home, and draped in the amazing clothes that she designed and sewed without using patterns; making all measurements using only her hands. Plunging necklines were her trademark, without looking inappropriate. Often her outfits were accompanied by her own handmade jewelry. 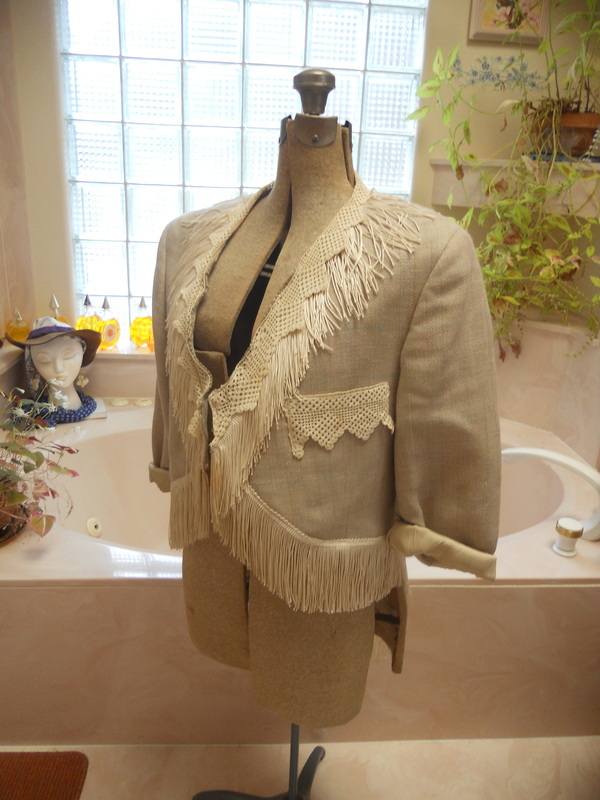 A fashion rebel, Lisa didn't wear anything store bought unless she altered it in some way. First she would rip out any tags (she felt that they were itchy), then she would immediately commence to cutting the neckline into a deep plunge, add some trim, even altering a pair of pants to become a skirt, or adding to a shirt to make it dress or a jacket. The photo on the right shows Lisa wearing a gown that she made for her 50th wedding anniversary, 2006. 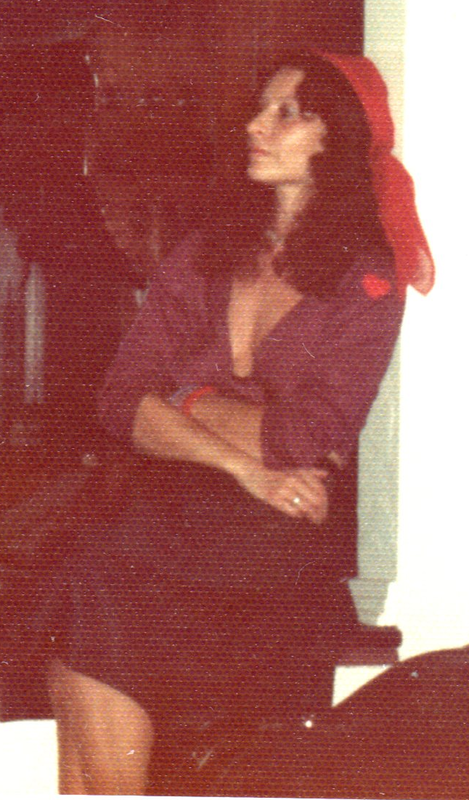 Gypsy scarves were another on of Lisa's trademark costume elements. Lisa preferred soft and flowing clothes that did not bind. She often put things together without snaps, zippers, or buttons. Rather she used safety pins which allowed for her to redirect the pathway of the clothing as it suited her day to day. 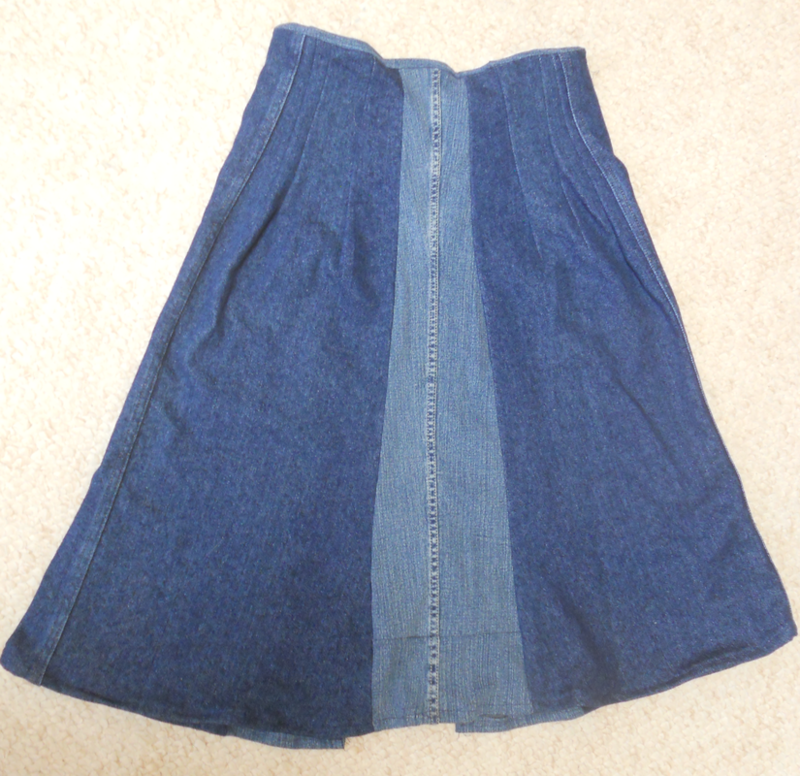 However, she loved recycling old blue jeans, and this skirt was one of the last items she sewed. This time, however, she paid great attention to details such as buttons, darts, and more specific measurements for each panel of fabric. Why the change? Perhaps because, as she convalesced she had less energy to create, and therefore an inordinate amount of time on her hands to put into the finer details of her creations.